The quickest way to save at Too Faced is to sign up for email notifications. Once you do you will be emailed about all the latest product launches, and well as special sales going on. On top of that, you will also get a 20% off coupon immediately after sign up. To get on that email list all you need to do is head to the Too Faced homepage. Look for the pop up that says Hey Gorgeous, Take 20% Off. Enter your email in the text box and click Sign Up. The first way to score free shipping is to find a Too Faced promo code for it. If you are having a hard time finding one then all you need to do is make sure that your total order adds up to over $50 dollars. Once your order is over that limit standard shipping comes free without a Too Faced coupon. If that foundation or concealer shade you just purchased doesn't match perfectly then do not fear. Just package your items and package them out and ship them back to Too Faced via UPS or USPS the choice is yours. You will be credited back within two weeks. Save yourself the hassle of having to return an item that you don’t love by checking out reviews before you purchase. With the beauty blog and YouTube scene, you can easily get a few different points of views on the product as well as see it in action. Once you are sure about your purchase pick up a Too Faced coupon code from us and apply it to your order. Sometimes you are just craving a new lipstick or highlighter and aren’t too fussed with which exact one. If that is how you are feeling right now then make sure to head over to the sale section. You can find everything from eyeshadow palettes, bronzers, brushes and more. Once you have scored a Too Faced promo code from us here at CNN Coupons all you have to do to use it properly to get all the hottest makeup trends straight to your door. Once you have the code head over to the Too Faced website. Head to your shopping bag once you have added all the items you want to purchase. When you are shopping at Too Faced you get 2 free samples with every purchase. No Too Faced coupon code needed. You can sample your favorites like the Chocolate Bronzer, Shadow Insurance, Hangover Primer and many more. To get these samples all you have to do is select Click here to get free samples when you are checking out. Select which two strike your fancy and add them to your bag. It’s as simple as that. Two new products to try for free no Too Faced discount code needed. Being a student is expensive. Even so, sometimes it’s nice to treat yourself to some luxury cosmetics. 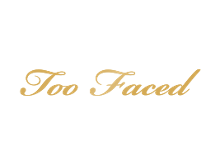 When wanting to make your next fancy makeup purchase make sure that Too Faced is on your list because with this brand you can save. Too Faced offers a 10% discount on all purchases for students. To get this discount on every purchase all you have to go is register your id and make an account with UNiDAYS.